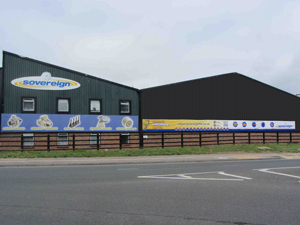 Sovereign Rotating Machines has launched an innovative way for factors and garages to check warranty claims. The remanufacturing specialists has set up a method where a factor takes three photos of the starter or alternator via a smartphone or tablet, and then send them with a brief description to Sovereign’s technical team, they will be able to assess by a team of experts. The hope is to eliminate as many any incorrect warranty claims by giving a quick response on whether it will be accepted under its policy. The decision was taken to set up such a scheme after it noticed a large proportion of claims were being rejected, as they had no manufacturing fault. Sovereign has also taken this opportunity to amend its returns policy and procedure on warranty items, old core and new items. It will see more flexibility given than ever before, with Sovereign prepared to take old Chinese core back without any pumps or pulleys, as it will supply brand new ones after the unit has been remanufactured.